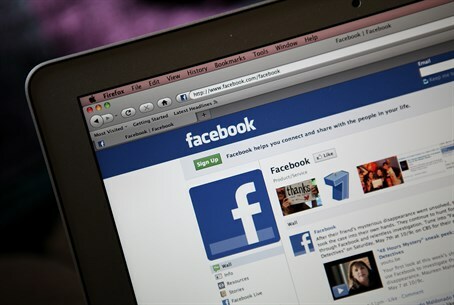 An Australian woman was arrested on Monday in the United Arab Emirates (UAE) capital of Abu Dhabi for the unusual crime of "writing bad words" on Facebook. Jodi Magi, 39, told the Australian ABC that back in February she posted a photo of a car with no disability stickers that was parked blocking two disabled parking spaces at her apartment block in Abu Dhabi. She had blacked out the license plate and gave no identifying details about the car or its owner. But apparently someone living in the apartment building complained to the police and her post was brought to a court case in June. There, Magi - who moved to Abu Dhabi in 2012 - was forced into signing various Arabic documents with no translation. And for simply posting a photograph to Facebook, she was found guilty of "writing bad words on social media about a person" two weeks ago, and threatened with deportation. Regarding why she was being punished, Magi told ABC right before being arrested, "I have zero idea. I used the internet." She tried to voluntarily deport herself and pay a fine of roughly $3,600 last week, but she was required to come to court first where instead of being allowed to pay the fine she was arrested and imprisoned on Monday. "I'm putting my life in the hands of chaos. I'm terrified," she told the Australian paper from the back of a police car. "They were about to put me in the male lock-up and then they turned me away and no one knows what to do with me." "No one is talking to me. No one is telling me what is going on. I've been driving around for literally about four hours." Eventually the woman was put in jail over Monday night, the paper reported on Tuesday. The Australian embassy in Abu Dhabi has ignored her case, she says, aside from advising her to find a lawyer. "I'm not sure if it was me being naive. I was under the impression that embassies were in countries to help their citizens in times of difficulty," she said. "But from my experience it seems that their job here seems to be to generate business and they have no interest in anything other than that." When queried by the ABC, the Australian government's Depart of Foreign Affairs and Trade said it "continues to provide consular assistance to an Australian woman detained in Abu Dhabi and that for privacy reasons (we) cannot provide any more information."